Behind the scenes, many aspects of our cities are getting a big upgrade in “smart city” initiatives across the globe – and the humble street light is going to play a surprisingly major role. You probably never really look at street lights. They may light your way at night, showing you the roads and sidewalks. During the day, you don’t even think about them. While you may not be looking at them, new technologies are enabling them to look at you. As we’ll find out, street lights may be a cornerstone of gaining intelligence in tomorrow’s cities. As outlined in our previous article, “A Smart City to Call Our Own”, Smart cities are real-world experimental projects, where leading technology is piloted in collaboration with progressive municipalities to demonstrate how we can retrofit and build efficient, safer, and more sustainable urban areas. So where do street lights come into all of this? With 317 million street lights around the world, with as many sensors onboard, the scale of data they might collect is staggering. The street lights of tomorrow’s cities, therefore, will not only use much less energy thanks to recent advancements in LED technology, but they will also take on the important role of becoming the data collection and wireless networking hubs of the city. The possibilities for finding greater efficiencies to serve citizens, businesses and governments seem to be endless as sensor technology improves and artificial intelligence continues to advance. Teledyne DALSA has a long history of delivering solutions for capturing imaging information on roadways around the globe, developing technology to support advanced transportation systems for applications such as toll road management, safety monitoring, and railroad inspection. These critical applications provide more eyes on the road for governments and law enforcement, offering insights in real-time and helping them make immediate actions for safer and more efficient roads. In some of the first implementations of ‘adaptive’ streetlights, which respond to traffic data, we can see improvements in the flow of traffic, as well as fewer accidents. Beyond roadway applications that require imagery capture from light we can all see, such as speed and red light law enforcement, Long Wave Infrared (LWIR) sensors cameras fixed to streetlights and focused on and around roadways will allow the capture of a wide range of data we cannot see, such as black ice on a road. Sensors to wirelessly monitor utility usage in homes to feed usage information back to consumers and save on meter reading costs. A waste management system where garbage is picked up only when a sensor recognizes the garbage is full. A range of traffic applications such as thermal sensors that gauge snow and ice buildup on the roads and sidewalks to enable faster plowing and salting during adverse weather. As a further note on the snow and ice application above, (and for those of you living in the tropics and are unaware), snow removal is a big expense item on city budgets in cooler climates. 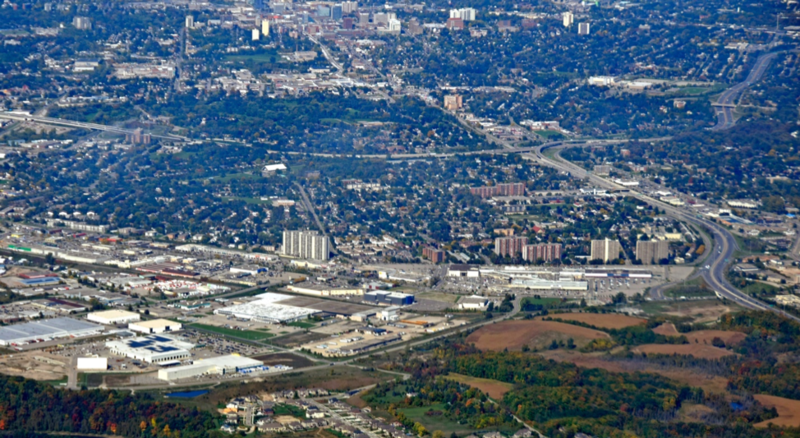 In 2015, Kitchener experienced an especially harsh winter, blowing past its $5.4M budget. Providing real-time insight into road conditions on city streets during the winter could provide significant efficiencies and tax dollar savings, potentially allowing planners to allocate surplus budget elsewhere. Visual sensors will spot vacant parking spaces for citizens and enforce parking laws. Audio sensors will detect specific sounds such as gunshots, and link into their existing gunshot tracking system to enable law enforcement to respond faster. Meteorological sensors monitoring different characteristics of the air such as temperature and humidity, will more accurately model the air quality and weather. For some, smart cities hold great promise for citizens, businesses and governments. For others, the concerns of both mass surveillance of our cities, as well as the privacy risk in generating massive amounts of citizen data outweighs the promise of higher efficiency, greater safety and sustainability. 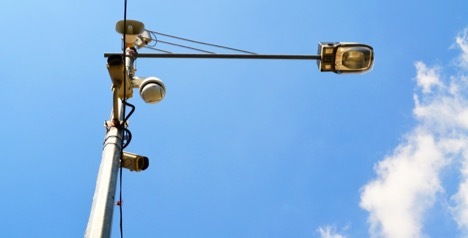 The technologically advanced city-state of Singapore, is moving ahead with a public safety and anti-terror application leveraging their “Lamppost-as-a-Platform”pilot project that consists of a city-wide street light network deployed with various sensors. The surveillance initiative will perform “crowd analytics” using an array of facial recognition cameras across 100,000 lamp posts. Similar deployments of mass facial recognition surveillance are already operational in Beijing and Shanghai, highlighting the global variance in today’s public debates around tradeoffs between data privacy and security, occurring in each country. National privacy policies will likely have a major impact on shaping what is possible for each smart city going forward. The path to truly smart cities has only just begun. And as an IoT approach continues to offer compelling solutions, we’ll see technology integrated into places and things that we never thought much about. It looks like there are big changes ahead – especially for the under-appreciated street light.